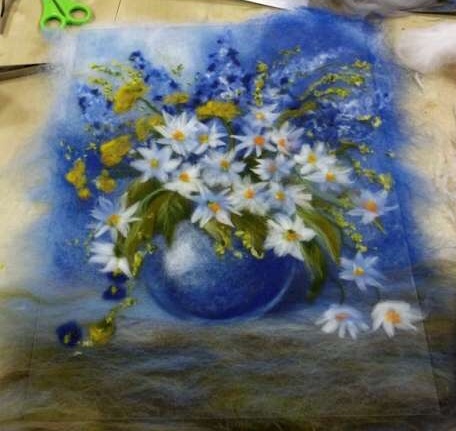 Come and explore the art of needle felting with instructor Judy Grant. In this class you will learn the basics of needle felting using layers of rich wool roving colors. Each person will be given a choice of an 8”x10” floral landscape with poppies or flowers in a vase still life. After completing your design you will add interest using beads and creative stitching. Bring a lunch. No prior experience is necessary to thoroughly enjoy this class. Class size limited. Please specify either still life with vase or floral landscape when registering for this class.